CoVEX is a one-stop trading platform for Cryptocurrency Exchange, Social Trading, Margin Trading & Lending, P2P Loan, Prepaid Card, Payment Gateway and ICO Underwriting services. CoVEX tokens will be available for interested participants during the ICO that is set to run from 12th May 2018. 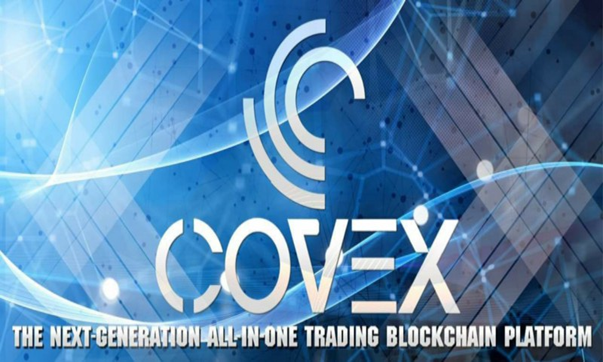 During the ICO, the total volume of 192,500,000 CoVEX coins will be released to interested coin holders. All the funds raised from the ICO will be used for development and research, hiring the talented developers, marketing and customer service, customer acquisition, security, and compliance. 1. The CoVEX platform will make trading accessible to everyone and improve the overall user experience. 2. We will list over 100 cryptocurrencies for spot trading within few months after the platform goes live. 3. We’re are a globally available trading platform. 4. We have an Incentive for Stake (IFS) model that is designed specifically to maintain a continuous rewards program for CoVEX Token holders. 5. The CoVEX team is not anonymous. It combines a passion for Blockchain, industry expertise & proven record in Finance, Banking, and Blockchain Development & Trading. 6. Exchange tokens generally do very well. 7. We have already gotten quite a bit of media coverage. Been featured in publications like: The Telegraph, Market Watch, Investor Place and Digital Journal. 8. Most of today’s cryptocurrency exchanges were developed by enthusiasts who do not have the requisite technological maturity of maintaining them. As a result, current crypto exchanges face: downtime loss, issues with security and poor user interface. 9. We have a growing network of internationally-recognized partners. 10. We at CoVEX strongly believe that the CoVEX token will become one of the most distributed tokens in the Ethereum network!